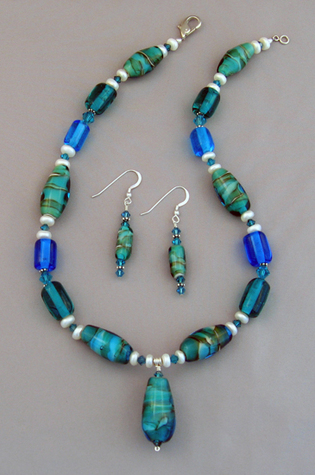 This necklace/earring set features seventeen handmade glass beads using transparent aquamarine and teal over ivory. 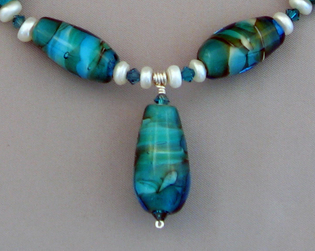 They are complemented with Swavorski crystals, sterling beads and fresh water pearls. Sterling silver clasp and earrings.